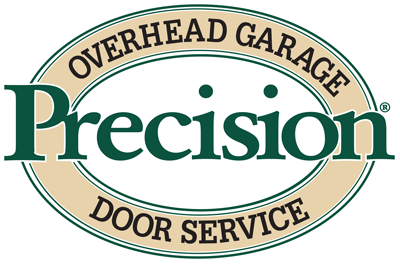 When you're having trouble with your PDS operator, there are a few things you can check before you call your local Precision Door Service tech. Here are a few quick tip that can possibly save you a bunch of time and some of your hard earned money as well! After a power outage, my garage door stops 6 inches short of closed. This is a very common problem that is also very easily fixed. Simply unplug your operator and give it a good 60 second break. Then, plug it back in and run it twice. If this doesn't solve the problem, you may have to reprogram the up and down limits. I have to hold the operation button down the entire time in order to get the door to close. This is usually an indication of misaligned safety eyes. The safety eyes are located on each side of the base of your door. Check to make sure the LED lights on the safety eyes are solid, if blinking they need to be realigned. Marantec eyes can be easily realigned by loosening the bracket and moving the eye around until the receivers light goes solid. Other brands may have a wingnut or other attachment device that allows you to move the eyes around to properly adjust them. I'm not sure how to put my door in manual mode with the emergency release cord. PDS operators have two basic emergency release styles--the single cord and the Y shaped cord. For both types, it is important to ensure the door is fully in the closed position to prevent any accidents. To disengage the trolley and place in manual mode, simply pull down once on the cord then open and close door manually. To reengage, pull down on the cord again then press the button on your transmitter, running the motor, and door will reconnect. This style of emergency release cord is designed to prevent unwanted tampering with your garage door, making it nearly impossible for an intruder to open the door from outside. To place this type of operator into manual mode, you must pull the release cord back and away from the garage door to disengage the trolley. To reengage, pull the cord in the opposite direction, toward the door. Then simply run the motor to place it back in automatic mode. From Precision Garage Door of Spokane, we hope you have found this information helpful. Remember if you have any questions, don�t hesitate to call! I called you folks on Monday afternoon and had a technician out the next day. The technician was super professional and easy to understand when he explained the garage door problems and solutions. Lifetime warranty on the parts intalled etc. This is the best my garage door has operated in 10 years. I am so glad I found your company. Thank you.